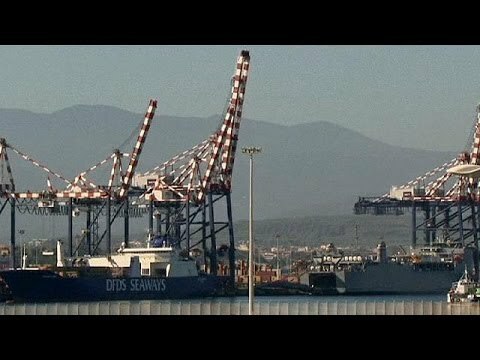 The last declared stockpile of chemical weapons from Syria, including mustard gas and the raw materials for producing the nerve agent Sarin, have arrived in Italy for destruction. The Danish freighter Ark Futura arrived in Gioia Tauro earlier for its planned meeting with the US ship MV Cape Ray which entered the Italian port late on Tuesday. This entry was posted on Thursday, July 3rd, 2014 at 6:05 pm and is filed under CHEMICAL WEAPONS. You can follow any responses to this entry through the RSS 2.0 feed. Both comments and pings are currently closed.